The Andover Lions will host their 13th Annual Golf Classic on Monday, September 17, at the Country Club of New Hampshire. Registration will begin that morning at 8 AM and a shotgun start will follow at 9 AM. Three levels of competition will be contested: Open, Women, Senior. Cost is $95 per person and golfers must submit players’ names and payment no later than September 10. Coffee available during registration, food at the 9th tee with a full lunch to follow competition. Golf, cart, longest drive, closest to pin, hole-in-one and lunch are included in the entry fee. Additionally, a putting contest and prize raffle will be held. 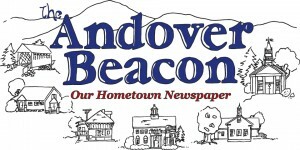 Entry forms are available at the Andover post office, Pizza Chef and Circle K. Players and teams may be submitted by email to johnhanscom45@nullyahoo.com and payment mailed to Andover Lions Club, P.O. Box 204, Andover, NH 03216. Businesses may participate through hole/cart sponsorships and/or donation of gifts for the raffle. Please contact John Hanscom at 748-0944 for additional information and pick up of donations. Thank you for your participation and support. All proceeds go to assist charitable organizations in Andover, Salisbury, Danbury and Wilmot.